When the store at the intersection known locally as Page’s Corner near Lockeport closed several years ago, the community lost more than a convenience store. It lost the only local gas station too. The concept for Lydgate Lock, Stock and Barrel was born. “We wanted to provide gas,” says Tim, “because people were driving to Sable or Shelburne. Then we said, okay, the hardware store’s closing down, so we need to bring in hardware.” With the addition of a small grocery section, a drive through window and the return of the popular ice cream service, Tim, his wife Ruth and two business partners opened an old-fashioned general store with a couple of modern twists. Tim and Ruth opened in June, 2016. “I wish I had a dollar for every time someone came here and said, ‘I’m glad you guys are here – you saved me a trip to Shelburne,” says Tim. “It makes you feel good.” The MacIntoshes see their store as a community service and give the example of the Christmas storm in 2017. For some customers, they deliver groceries. They give others a lift home with their purchases. “We’ve supported everyone who comes here for donations,” says Tim. They even provide a barbecue, tent and some supplies at cost for those who want to hold a fundraiser outside the store. 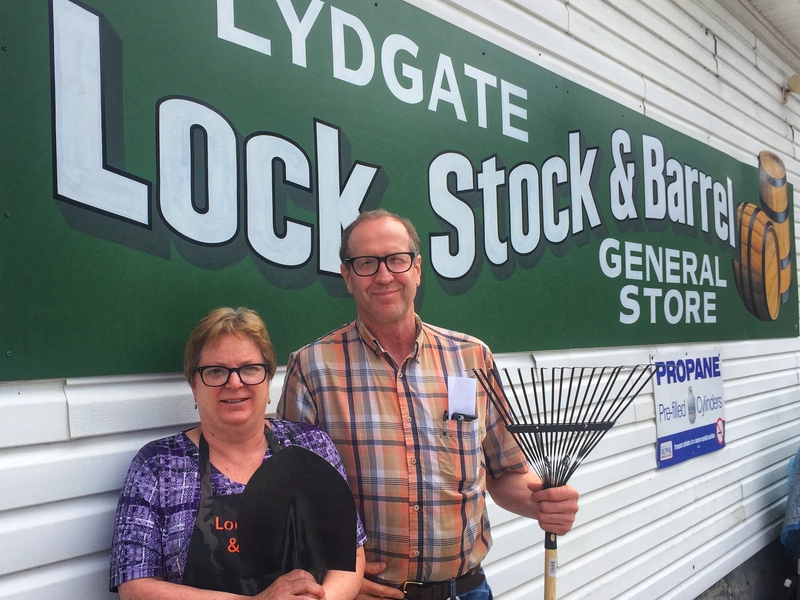 With Lock, Stock and Barrel, Tim and Ruth MacIntosh have created more than a variety store. They’ve become a hub of community activity.